Absolutely NO PETS and NO SMOKING. 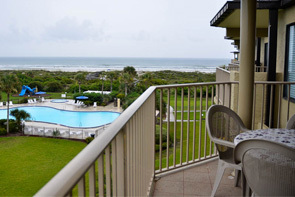 Colony Reef Club Oceanfront Resort offers ocean view condos on white sand St. Augustine Beach, Florida through Sunstate Vacation. The St. Augustine condominium rentals of Colony Reef Club offer the lowest prices, Free Cleaning, Free Wifi & Free Parking and highest quality stays available in St. Augustine. Sunstate Vacation does not nickel + dime you at all! Since opening in 1983, Colony Reef Club has provided excellent customer service on the beautiful white sand Saint Augustine beach. At our St. Augustine beach vacation condos, you’ll find that opportunities for family fun are abundant and varied. Play tennis for free on the tennis courts; enjoy swimming and sunning in the huge outdoor pool at our Oceanview Condo rentals, or stay in shape at the fully equipped health club, with indoor racquetball courts and an indoor heated lap pool and sauna. As the oldest city in the United States, St. Augustine is an intriguing and historical vacation destination; Voted Top 10 Vacation City In Many Nationwide Periodicals. The beautiful and appealing area offers superior fishing and exquisite golfing, as well as plenty of shopping and beautiful white sand beaches. We include everything you need for a carefree St. Augustine vacation; just bring your suitcase and sporting gear, and you’ll be ready to enjoy the pleasures of seaside living at Colony Reef Club. 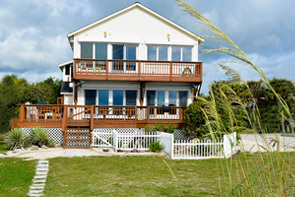 If you are looking for an oceanfront condo or beach home rental, contact Sunstate Vacation today!